Why 10? Because we didn't have room for 20, that's why. 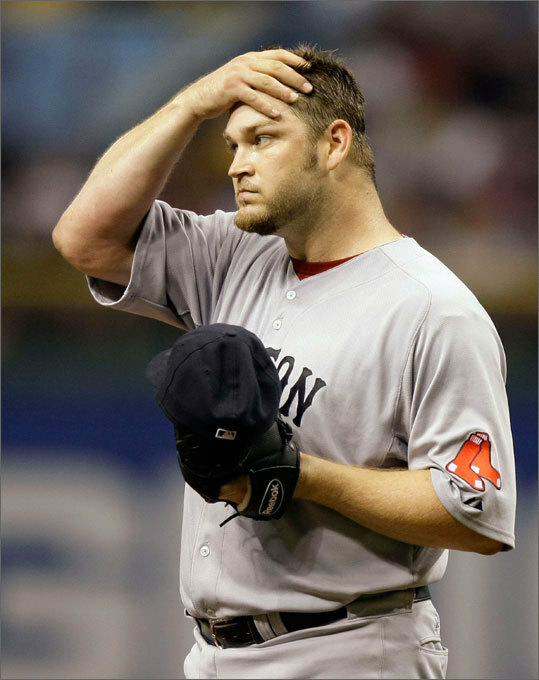 Sorry for the negative, 2006-ish sinking-ship vibe, but last night's Red Sox loss is one that will linger, at least until (if?) Josh Beckett delivers a true-ace performance tonight. Many of the Red Sox' current flaws were exposed and emphasized in last night's gruesome 13-6 loss to the Yankees. But if you're a glutton for punishment, here's the full list of their current ailments and issues.